Oztek Award for PADI Manager! Richard Evans of PADI Asia Pacific receives prestigious Risk Management award during OZTeK. As part of the OZTeK Dive Conference & Exhibition, Richard Evans – Manager of Risk Management at PADI Asia Pacific – was presented with an award to acknowledge his Exceptional Contributions to the Growth & Development of Recreational Diving. 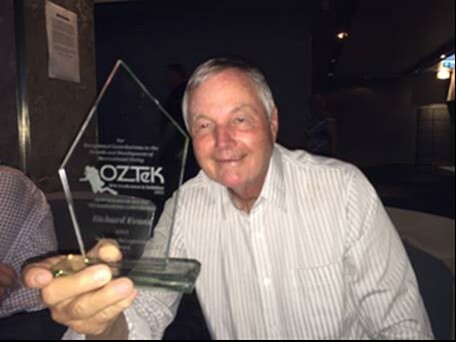 Richard received the award during the OZTeK Gala Dinner held in Darling Harbour, Sydney, on Sunday 15th March. Over 200 attendees from the technical and recreational diving industry were present at the dinner to mark the culmination of the two day event. The prestigious award was presented by the well-respected Dr Simon Mitchell, Chair of the Department of Anesthesiology at the University of Auckland, New Zealand and former Vice President of the Undersea and Hyperbaric Medicine Society (UHMS), who praised Richard’s dedicated efforts in risk management and diver safety for PADI Members, as well as the scuba diving industry as a whole, over many years. Richard has a long and distinguished risk management career including working in law enforcement in California, USA, for a number of years. Richard has worked for PADI for over 25 years, from three different offices around the world, and has overseen PADI’s risk management, quality management and diving related incidents. His responsibilities include attending court in support of PADI Members and acting as a liaison and appointed counsel for PADI Members, speaking both the language of diving and the law. 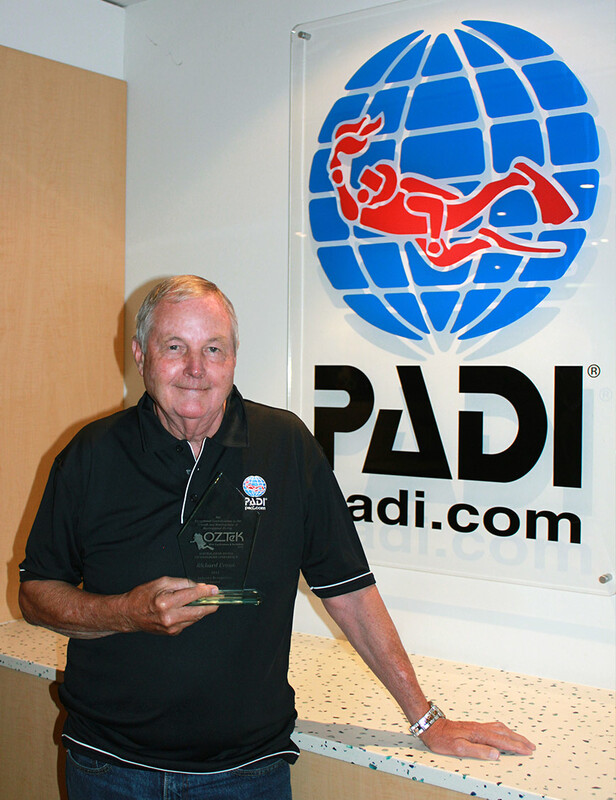 In 2006, Richard also received another significant award from DAN Asia Pacific for his Contribution to Diver Safety. Over the years, Richard has conducted hundreds of risk management and quality management seminars for thousands of PADI Members and industry attendees from around the world. Richard has also developed three popular risk management videos for the dive industry; The Duty of Care, Rush Hour, and Guided Dive. All these videos have benefited PADI Members in the area of risk management. “I’m passionate about scuba diving and I’m also passionate about diver safety”, Richard explains. “The OZTeK award belongs to PADI Members for all the hard work they put into safe diving practices every day”. Please join PADI in congratulating Richard on this fantastic achievement.